When I’m walking along the beach, I’m always amazed (and amazingly disappointed) by the number of people who have their ear buds in, either listening to music or chatting on their cell phones. They’re missing half the fun, because the sounds of the surf just can’t be beat. Ditch the ear buds, buddy, and tune in to a much sweeter sound. 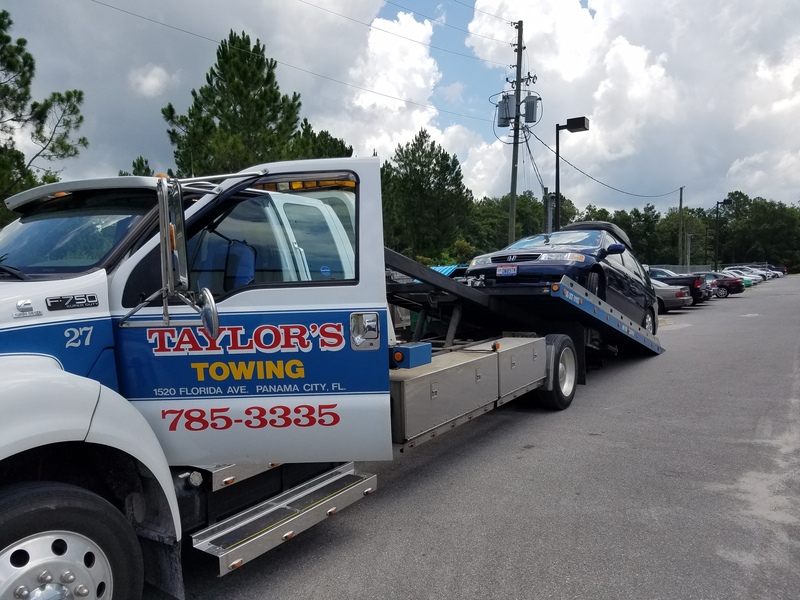 Ah, there’s nothing like breaking down 40 miles north of Panama City, Florida, in the family truckster that’s loaded to the gills with kids, bikes and beach supplies. Oh, and our oldest son’s guitar and amplifier too (he really needs to learn how to downsize his packing list). Cargo carrier on top (we call it “the turtle”) and bike rack on the back. Despite all the technological advances made by the auto industry, there’s still not a whole lot of warning when your car’s alternator dies. One minute you’re cruising along at 60 m.p.h., the next minute all your dashboard controls go haywire and your car dies. 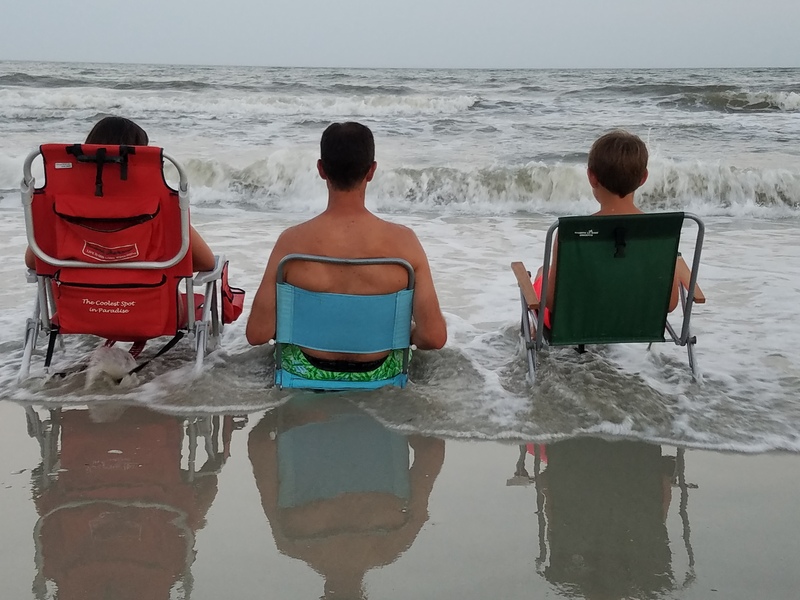 Granted, we were going from the Florida Panhandle to Hilton Head in the middle of a two-week vacation, so I realize this falls into the category of #firstworldproblems. But still, it wasn’t a whole lot of fun. Especially when we got to the car dealer and they said they didn’t have an alternator for a 2003 Honda Odyssey in stock, and it’d take 3 days to order one. Thankfully they were able to find a suitable substitute that afternoon, and 7 hours (and many dollars) later, we were back on the road. 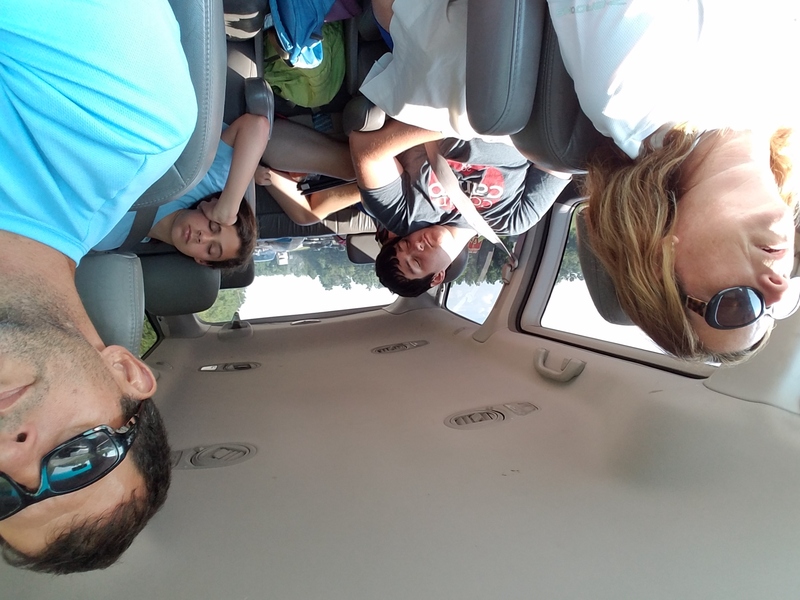 Oh well, at least we didn’t get stuck in Hilton Head bridge traffic when we rolled in near midnight. 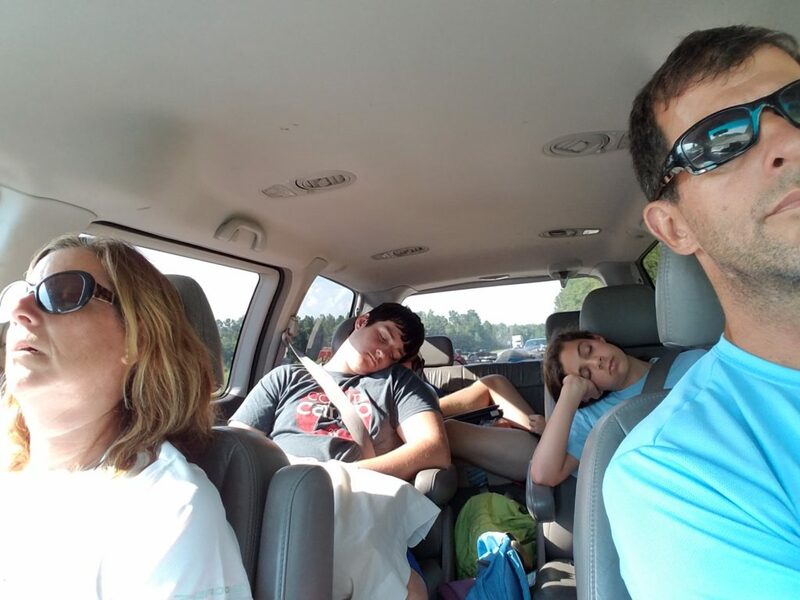 Yours truly at the wheel, the rest of the family snoozing. 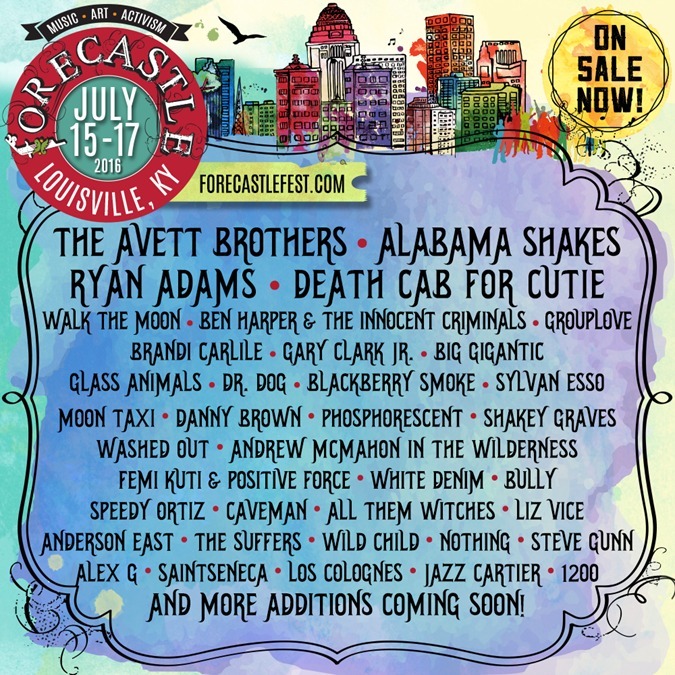 Last weekend, I made my 3rd consecutive yearly pilgrimage down to Louisville, KY for the Forecastle music festival. 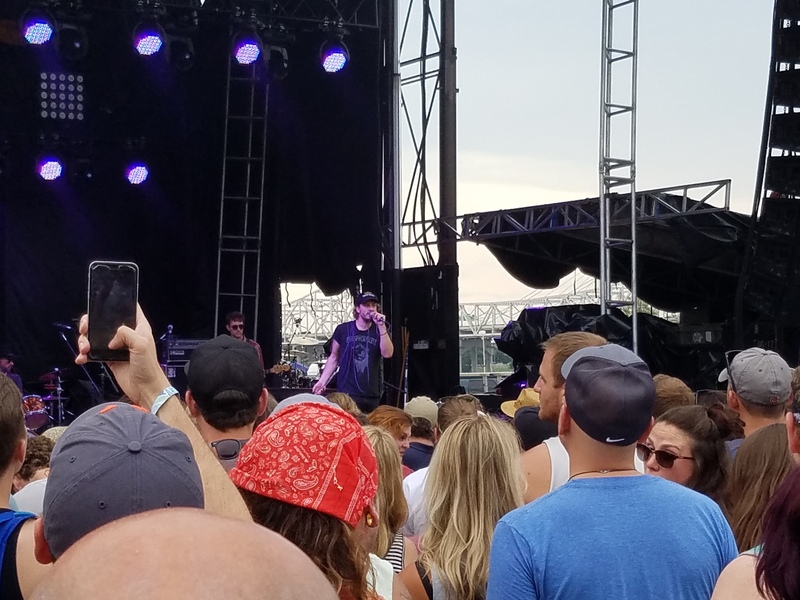 I love the setup (it’s downtown at Waterfront Park, so the Ohio River serves as the backdrop for 3 of the 4 stages) and usually the lineup of performers is right in my musical sweet spot. It’s three magical days of binge-listening, a smorgasbord of sweet sounds. Highlight of the weekend was probably the trifecta of acts that wrapped up the festival on Sunday evening: Death Cab for Cutie, Brandi Carlile and Ryan Adams, back to back to back. 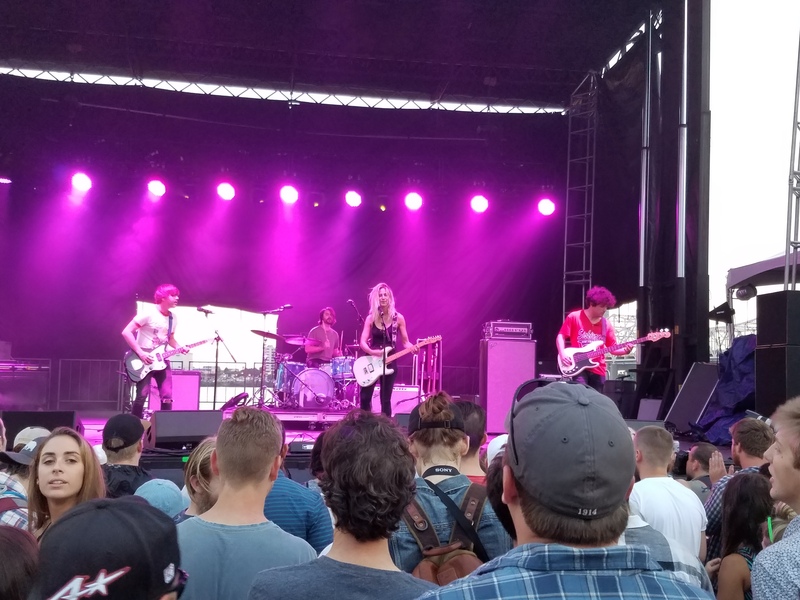 But Saturday had an impressive run too, from The Arcs to Dr. Dog to Local Natives to Sylvan Esso to the Alabama Shakes. Friday was pretty darn killer too, especially Phosphorescent and the Avett Brothers. 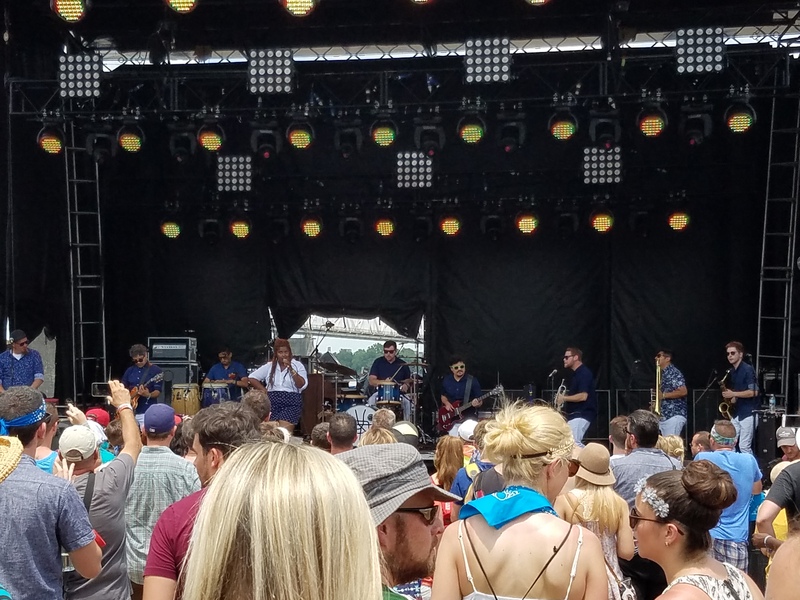 There were a few times when I thought “I’m too old for this all-day outdoor music thing”… but then I’d see a band that really impressed me and get a second wind. 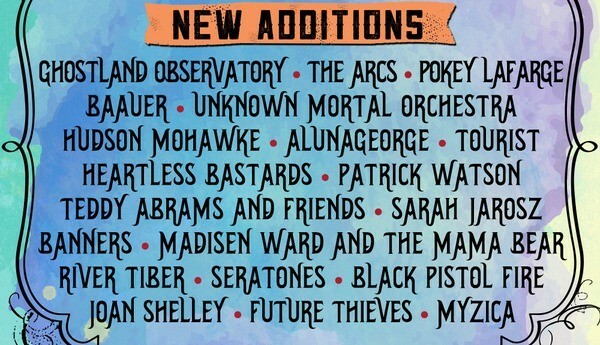 I like Forecastle as much for the up-and-comers as for the bands I already know and like. Folks like Alex G, Caveman, Future Thieves, The Suffers, Bully and Anderson East. 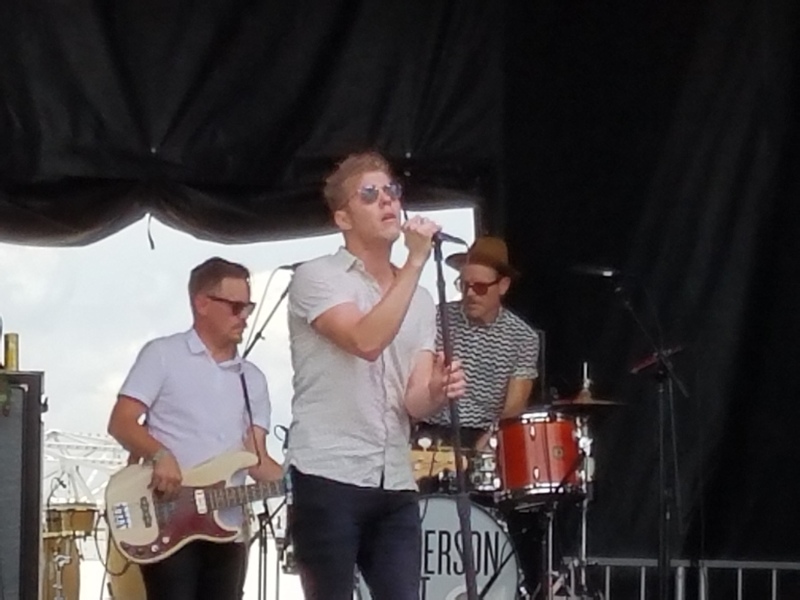 Anderson East had a killer set. 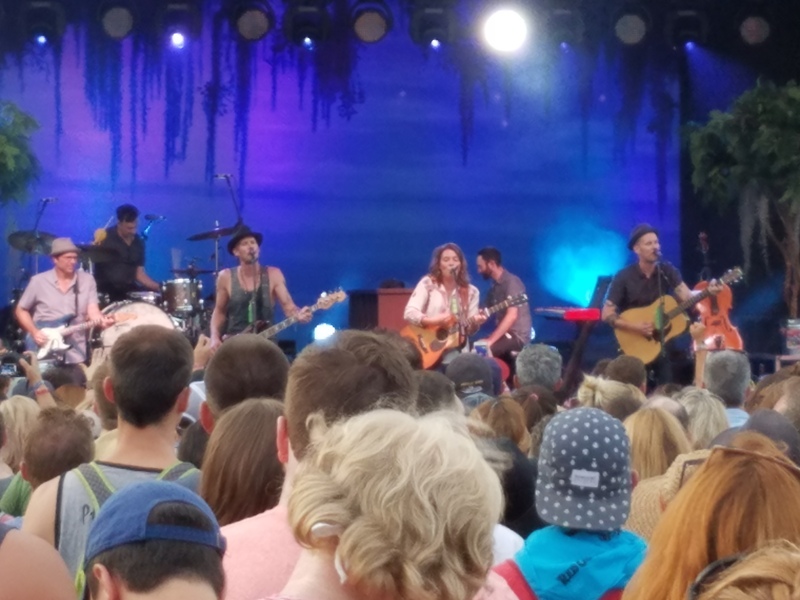 The always-amazing Brandi Carlile and her equally-amazing band. Can’t wait to see what’s in store for 2017. Sign me up! The good news: he has a job so he can help pay for gas. The bad news: our car insurance rates doubled… and my heart rate tripled. I suppose it’s just the first in a series of “letting go” moments. Soon he’ll be heading off to college. Then moving out of the house permanently after college (at least we hope so). 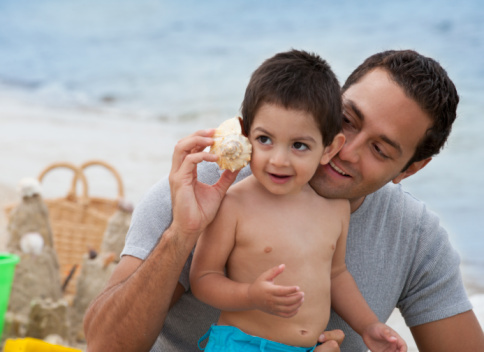 Then starting a life of his own, where his parents merely make cameo appearances. There’s not much we can do about it – he’s in the driver’s seat. 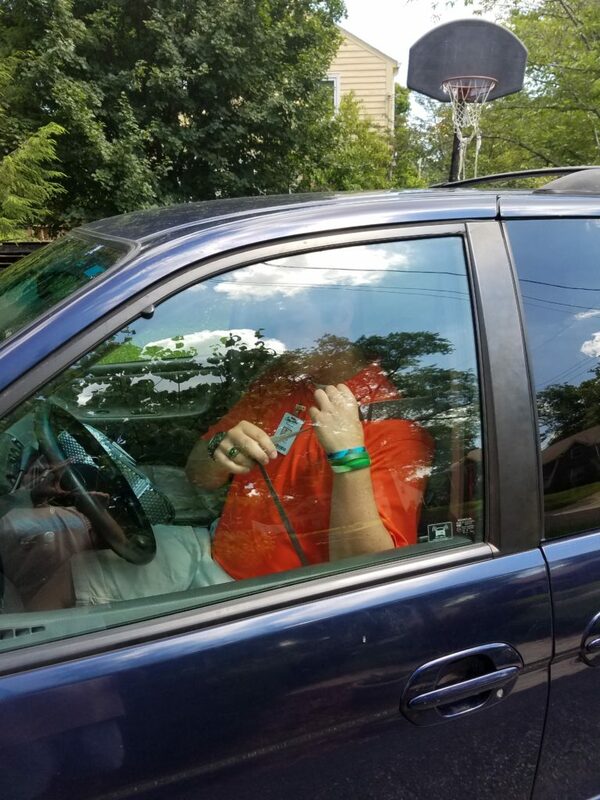 Oh, and if you see a blue, 2003 Honda Odyssey on the road in the eastern part of Cincinnati, with a bunch of school stickers on the back and some rock music cranked up really high, you might want to give the car a wide berth.